Species in the genus Bothrops s. l. are extraordinarily variable in ecology and geography, compared with other genera in the subfamily Crotalinae. In contrast to the trend of splitting large and variable groups into smaller, more ecologically and phenotypically cohesive genera, the genus Bothrops has remained speciose. In addition, previous phylogenetic analyses have found Bothrops to be paraphyletic with respect to the genus Bothriopsis. Taxonomic arguments exist for synonymizing Bothriopsis with Bothrops, and for splitting Bothrops into smaller genera, but the greatest hindrance to taxonomic revision has been incomplete phylogenetic information. We present a phylogeny of Bothrops, Bothriopsis, and Bothrocophias based on 85 characters of morphology and 2343 bp of four mitochondrial gene regions, and with significantly greater taxonomic coverage than previous studies. The combined data provide improved support over independent datasets, and support the existence of discrete species groups within Bothrops. The monophyly and distinctness of these groups warrant recognition at the generic level, and we propose a new taxonomic arrangement to reflect these findings. © 2009 The Linnean Society of London, Zoological Journal of the Linnean Society, 2009, 156, 617–640. ADDITIONAL KEYWORDS: Bayesian – Bothropoides – cytochrome b – morphology – ND4 – parsimony – Rhinocerophis – ribosomal RNA – taxonomy. *Corresponding author. E-mail: [email protected] †Current address: Department of Biological Sciences, Salisbury University, 1101 Camden Ave., Salisbury, MD 21801,USA. A. M. FENWICK ET AL. Species names have been changed to reflect the current classification. Lines delineate clades recovered by the studies; names in bold are group names given by the authors. Salomão et al., 1997; Vidal et al., 1997; Parkinson, 1999; Gutberlet & Harvey, 2002; Parkinson et al., 2002; Wüster et al., 2002; Castoe & Parkinson, 2006). Within Bothrops, several species groups have been repeatedly recovered and named (Table 1): a Bothrops alternatus group, Bothrops neuwiedi group, Bothrops jararaca group, Bothrops atrox group, and Bothriopsis (a complete species list can be found in Appendix 1). Numerous ecological and evolutionary studies (e.g. Martins et al., 2001; Martins, Marques & Sazima, 2002; Araújo & Martins, 2006) have traditionally used these species groups as well, recognizing alternatus, neuwiedi, jararaca, atrox, jararacussu (part of the atrox group in Table 1), and taeniatus (= Bothriopsis) groups. date on this group of venomous snakes. The phylogeny recovered allows us to identify the major evolutionary lineages in this speciose group, and to determine the species composition of each major lineage. We evaluate previous taxonomic suggestions, and propose a systematic revision of the group that recognizes evolutionarily, ecologically, and morphologically distinct lineages as genera. were taken from Gutberlet (1998) and Gutberlet & Harvey (2002), with additional characters from Werman (1992) and Wüster, Thorpe & Puorto (1996), and some are original to this study. The ordering of characters was taken from the maximum ordering of Gutberlet & Harvey (2002) and ordering in Werman (1992), using both intermediacy and adjacency as justification for ordering. For parsimony analyses, characters were coded using two different methods: generalized frequency coding (GFC), as described by Smith & Gutberlet (2001), or gap weighting (Thiele, 1993) and majority coding (Johnson, Zink & Marten, 1988). The GFC was developed to extend the frequency bins method of Wiens (1995) to apply not only to binary characters, but also to multistate and meristic characters. It is thought to extract the maximal phylogenetic information available in patterns of polymorphism within terminal taxa, because it codes the entire frequency distribution of a character within a taxon. Under this method, we processed data through the program FastMorphology GFC (Chang & Smith, 2001), and used unequal subcharacter weighting, as recommended by Smith & Gutberlet (2001). This method divides the weight of one character by the number of subcharacters used, and then divides the weight of each subcharacter by the number of steps between the lowest and highest frequency bin included in it, thereby allowing rare subcharacters greater weight than common subcharacters. Smith & Gutberlet (2001) found that unequal subcharacter weighting performed better than the alternative of equal subcharacter weighting. Bayesian methods that are currently available provide no straightforward means to include frequency-based characters, so likelihood-based analyses were conducted using gap weighting for meristic characters (Thiele, 1993), and majority coding for binary and multistate characters (Johnson et al., 1988). Coding was performed using Microsoft Excel. Gap weighting assigns states to taxa according to their range-standardized means (Thiele, 1993). As MrBayes allows a maximum of six ordered character states, the range of a character was divided into six bins, and states 0–5 were assigned to each taxon. Majority coding simply assigns the character state found in the majority of samples to the terminal taxon. Gap weighting and majority coding (GW/MC) methods approximate or ignore polymorphism within species; they are therefore expected to provide less phylogenetic information than frequency methods such as GFC (Smith & Gutberlet, 2001). cytochrome b (cyt b) were obtained from GenBank. 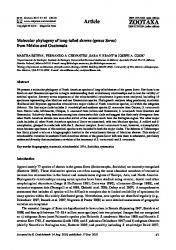 In addition, new sequences were obtained for eight species as described in Castoe & Parkinson (2006). This provided a molecular data set with at least one gene fragment included for each of 35 taxa, or approximately 75% of the currently recognized species (Appendix 2). All specimens and accession numbers are listed in Table S1. All sequences were aligned by eye and by using ClustalW (Thompson, Higgins & Gibson, 1994). For conservatism in determining evolutionary relationships, when more than one sequence was available for a species, aligned sequences were combined into a majority-rule consensus sequence. When two or more nucleotides were found in equal proportions, standard IUPAC codes for uncertainty were used. The alignment of protein-coding genes was straightforward, with no insertions or deletions. No internal stop codons were found in either protein-coding fragment. The alignment of rRNA genes was based on models of secondary structure for snake mitochondrial rRNAs (Parkinson, 1999). Novel sequences were deposited in GenBank (Table S1), and the final nucleotide alignment is available by request. Gaps in the alignment were treated as missing data in the analyses. HKY, Hasegawa, Kishino & Yano (1985) model; GTR, generalized time reversible model (Tavaré, 1986); G, gamma-distribution rate variation; I, invariant sites. 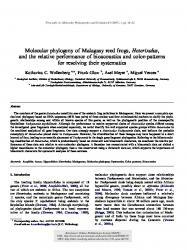 among groups, and can allow comparisons with other groups of closely related taxa. Cytochrome b was chosen because its genetic distances are often reported in the literature, thereby allowing more direct comparisons of genetic distances in these groups with those reported for other snakes (e.g. Wüster et al., 2002; Malhotra & Thorpe, 2004). We calculated genetic distance measures with the program MEGA (Kumar, Tamura & Nei, 2004), using a Kimura two-parameter model and G– distributed rate variation. BOTHROPOID PHYLOGENY AND CLASSIFICATION recovered in the majority-rule consensus of the shortest trees. In all other cases of alternative placements, the species relationships were supported with posterior probability and bootstrap values of less than 65. Species with alternative placements were Bothrops andianus, Bothrops barnetti Parker, 1938, Bothrops mattogrossensis Amaral, 1925, Bothrops sanctaecrucis Hoge, 1966, and Bothrops venezuelensis SandnerMontilla, 1952. Genetic distance measures within South American species groups ranged from 6.5 to 11.3%, and distances between species groups within South American pitvipers ranged from 11.1 to 16.7% (Table S2). Overall, within-genus distance measures ranged from 8.5 to 21.9%. dataset of Gutberlet & Harvey (2002) and the molecular dataset of Castoe & Parkinson (2006). Pleurapophyses of midcaudal vertebrae in contact distally, choanal process of palatine positioned posteriorly, prehensile tail, green ground colour. Four palatine teeth (five in B. moojeni and B. jararacussu, three in B. brazili and B. sanctaecrucis). No unique phenotypic synapomorphies, intermediate width of lateral margin of head of ectopterygoid shared with Bothrocophias. Keel on dorsal scales tuberculate on caudal part of body, Meckellian foramen completely or partially divided into two foramina, distinct white spots present on posterior infralabials and gulars. One or two palatine teeth. Diet generalists with a high proportion of mammal (42.1–70.1%) and anuran (12.8–33.6%) prey. Terrestrial to semi-arboreal in lowland rainforests to gallery forests and swamps in cerrados to Atlantic forests. Northern South America: Pacific versant of Andes and coastal lowlands in Colombia, Ecuador, and northwestern Peru; Atlantic versant of Andes in Peru and Bolivia, Venezuelan Andes, and equatorial forests east of Andes exclusive of Uruguay, southern Paraguay, and Argentina south of Misiones. Central America: southern Mexico to Panama. Lesser Antilles: St. Lucia and Martinique. Amazonian South America: Colombia, Ecuador, Peru, Bolivia, Brazil, Venezuela, Guyana, French Guiana, Suriname. Southern South America: southeastern Brazil, Paraguay, Uruguay, Argentina; one species found in central and southern Bolivia. Eastern South America: Brazil including continental islands, Bolivia, southeastern Peru, Paraguay, Uruguay, northern to central Argentina. Terrestrial in open areas or edges of moderate to montane broad-leaf and/or Araucaria forests, swamps, or cerrados. Terrestrial in dry to wet habitats in caatinga vegetation, cerrados, rock outcrops, grassy areas, or broadleaf forests (B. erythromelas and B. neuwiedi complex) or semi-arboreal in Atlantic forests (B. jararaca complex). Semi-arboreal in lowland rainforests, Atlantic forests, wet montane forest, or cloud forests. Andean South America: Ecuador, Colombia, Peru, Bolivia, western Brazil. Terrestrial in rainforest, montane wet forest, and cloud forest. Diet generalists, including a high proportion of lizards (41.7% in B. hyoprora), anurans, and mammals (25% each in B. hyoprora). Diet generalists including a high proportion of mammal prey (42.8–60% in B. ammodytoides and B. itapetiningae) or mammal specialists. Diet generalists, some mammal specialists (B. pubescens), some including a high proportion of birds (B. insularis), or centipedes (66.7% in B. alcatraz) in diet; ontogenetic shift in prey types in the larger species Diet generalists with a high proportion of mammal (40.9–50.0%) and anuran (35.7–40.9%) prey. Diet data from Martins et al. (2002), habitat data from Martins et al. (2001) and Campbell & Lamar (2004), and range data from Campbell & Lamar (2004). 626 A. M. FENWICK ET AL. and Bothrocophias clades in alternative analyses. Its Venezuelan range places its affinities with either the Bothrops atrox group or with Bothriopsis, but its primarily terrestrial habits, brownish coloration, and lack of a prehensile tail make it more similar to the Bothrops atrox group than to Bothriopsis. This is supported by the combined evidence analyses 6 and 7 (Figs S3, S4). In contrast with the species discussed above, additional evidence cannot help to place four species in recovered species groups. Bothrops barnetti was included in the analyses on the basis of morphology only, and combined evidence analyses placed it near Bothrops pictus, although morphology-only analyses yielded different relationships. Similarly, the evolutionary relationships of Bothrops lojanus are uncertain based on scale data from six specimens (Appendix S1), although it was typically recovered as a sister taxon to most Bothrops + Bothriopsis species in pilot analyses. Based on their habitats in arid regions of Peru and southern Ecuador, respectively (Campbell & Lamar, 2004), their affinities may be with the arid Peruvian species Bothrops pictus. All three species may be sisters to Bothrops as currently defined. Until more comprehensive morphological or sequence data are available, Bothrops barnetti, Bothrops lojanus and Bothrops pictus cannot be definitively placed in the phylogeny. Bothrops roedingeri has sometimes been regarded as a synonym of B. pictus (see Campbell & Lamar, 2004), and because of this fact, as well as its desert habitat and range near B. pictus, these two species are likely to be congeners. Because of the uncertain position of B. pictus, we do not have a strong hypothesis for the phylogenetic placement of B. roedingeri. ranging from 6.7 to 13.8% for within-group divergence and from 12.3 to 17.1% for between-group divergence (Table S2). In comparison, the clade of the Central American pitviper genera Cerrophidion, Porthidium, and Atropoides, closely related to the South American clade, had within-group distances of 8.3–12.7% and between-group distances of 12.1–23.4%. In Malhotra & Thorpe (2004), within-group distances ranged from 4.4 to 14.2% and between-group distances ranged from 10.3 to 26.5%. In our opinion, genetic distances alone do not provide a scheme for delimiting genera or species, but similarity of genetic distance measures may be taken as additional support for the distinctiveness of the South American groups. BOTHROPOID PHYLOGENY AND CLASSIFICATION PhyloCode (de Queiroz & Gauthier, 1990, 1992, 1994). First, the paraphyly of Bothrops with respect to Bothriopsis is an ongoing taxonomic problem that will be resolved with the adoption of our proposed taxonomy. We anticipate the four species currently incertae sedis will be assigned to genera without requiring name changes to our proposed generic arrangement. Evidence strongly indicates that with additional data these genera will stand; therefore, we do not consider the unassigned species to be a hindrance to the adoption of our proposed taxonomy. Second, our concerns with naming subgenera are the same as the drawbacks of simply synonymizing Bothriopsis with Bothrops. Continuing to recognize the large and variable genus Bothrops requires disregarding a morphologically and ecologically distinct genus (Bothriopsis), as well as other evolutionarily distinct lineages. Within pitvipers, subgenera are rarely recognized, and so naming subgenera would not be materially different from including Bothriopsis within Bothrops. Third, as most concerns about taxonomic changes in this group are in relation to changing species names, and as the current PhyloCode (Cantino & de Queiroz, 2007) specifies that species names are to be governed under the rank-based codes such as that of the ICZN, we choose to make taxonomic recommendations under the ICZN code to avoid confusion about the correct names of species. It is our responsibility as systematists to analyse and describe biodiversity, and to utilize nomenclature to recognize distinct evolutionary lineages. The best way to recognize the evolutionary patterns recovered in this study is to recognize the major lineages as genera. Although future biodiversity research may result in minor changes to the content of these genera, we infer – on the basis of thorough taxon and character sampling, and robust analytical methods – that the lineages themselves will continue to be supported. See McDiarmid, Campbell & Touré (1999) and Campbell & Lamar (2004) for synonyms. See Gutberlet & Campbell (2001) for a description of Bothrocophias and Campbell & Lamar (2004) for a description of Bothriopsis, and for the inclusion of Bothrocophias colombianus in Bothrocophias, as the content of these genera has not changed. narrow without tapering, and ectopterygoid base with a long overlapping projection. Choanal process of palatine positioned medially, and greatly reduced (B. neuwiedi) or attenuate (B. jararaca) in shape. Meckellian foramen single; angular and splenial partially fused. Diagnosis: Bothropoides differ from other South American pitvipers in 38 mitochondrial characters (Table 4). External characters overlap with other South American genera, with no unique synapomorphies in scalation. Distribution in eastern South America, combined with terrestrial habitat in grasslands or broad-leaf forests (Bothropoides neuwiedi group), or semiarboreal habitat in Atlantic forests (B. jararaca group), distinguishes this genus from others (see Table 4). Bothropoides has fewer interrictals (21– 34) than the other South American genera (24–40), and some individuals have high numbers of supralabials (7–11, also seen in Rhinocerophis; all other South American genera have 7 or 8 supralabials). Bothropoides differs from Bothrops and Bothriopsis in having most species with the prelacunal separate from the second supralabial (B. jararaca, B. alcatraz, and B. insularis have the prelacunal fused to the second supralabial). Some specimens have both divided and entire subcaudals, a state also seen in Bothriopsis. Bothropoides differs from Bothriopsis in the lack of a prehensile tail and lack of green coloration. It differs from Bothrocophias in the lack of white spots on the gular scales, and the lack of tuberculate keels on posterior dorsal scales. Bothropoides differs from some Rhinocerophis (R. alternatus, R. cotiara, R. fonsecai, and R. jonathani) in the absence of distinctive back bars on the underside of the head. Distribution: Eastern South America: in Brazil and associated islands, Bolivia, south-eastern Peru, Paraguay, Uruguay, and northern to central Argentina (Campbell & Lamar, 2004). See Campbell & Lamar (2004) for range maps of individual species. Remarks: We did not examine individuals of Bothrops lutzi, but based on prior work that elevated this species out of the Bothrops neuwiedi complex (Silva, 2000, 2004), we include it in the genus Bothropoides. RHINOCEROPHIS GARMAN, 1881 Type species: Rhinocerophis nasus (Garman, 1881), a junior synonym of Bothrops ammodytoides (Leybold, 1873). Etymology: The generic name is derived from the Latin Rhinoceros, meaning ‘nose-horn’, referring to the strongly upturned snout of R. ammodytoides, and ophis, meaning ‘snake’. Names ending in this suffix are masculine. BOTHROPOID PHYLOGENY AND CLASSIFICATION forests, distinguishes this genus from others (see Table 4). Rhinocerophis individuals have the maxillary fang shorter than the height of the maxilla, and show black bars on the gular scales of some species (R. alternatus, R. cotiara, R. fonsecai, and R. jonathani). Rhinocerophis have fewer subcaudals (25– 55) than the other genera (31–86), and some specimens have high numbers of supralabials (7–10, also seen in Bothropoides; other South American genera have 7–8). Rhinocerophis differs from Bothrops and Bothriopsis in having the prelacunal scale separated from the second supralabial. It differs from Bothriopsis in the lack of green coloration, and in the lack of a prehensile tail. It differs from Bothrocophias in the lack of tuberculate keels on posterior dorsal scales. Almost all species differ from Bothrocophias in colour pattern: whereas Bothrocophias species have spadeshaped dorsal markings lacking spots between the spades, Rhinocerophis species have spots between the spades (R. alternatus, R. cotiara, and R. fonsecai), have trapezoidal markings with spots between them (R. itapetiningae), or have a checkered pattern (R. ammodytoides). Only R. jonathani lacks spots between spades, but it can be distinguished by the presence of black bars on the gular scales, as mentioned above. Distribution: Southern South America: in southeastern Brazil, central and southern Bolivia, Paraguay, Uruguay, and Argentina (Campbell & Lamar, 2004). See Campbell & Lamar (2004) for range maps of individual species. South American genera by having higher numbers of ventrals (157–236 and 153–227, respectively, compared with 125–206), and by having the prelacunal fused to the second supralabial (also seen in Bothropoides jararaca, B. alcatraz, B. insularis, and in some Bothrocophias). Bothrops is distinguished from Bothriopsis in its brown to black coloration and lack of a prehensile tail, except for Bothrops osbornei and Bothrops punctatus with prehensile tails. These two Bothrops species occur west of the Andes, as opposed to Bothriopsis species that all range east of the Andes. Distribution: Most species are found in South America east of the Andes, exclusive of Uruguay, southern Paraguay, and central to southern Argentina (Campbell & Lamar, 2004). Bothrops caribbaeus and B. lanceolatus are found on the Caribbean islands of Saint Lucia and Martinique. Bothrops osbornei, B. punctatus, and B. asper range through Peru, Ecuador, and portions of Colombia west of the Andes, and B. asper ranges northwards in Middle America through the countries of Panama, Costa Rica, Nicaragua, Honduras, Guatemala, Belize, and Mexico. See Campbell & Lamar (2004) for range maps of individual species. Remarks: According to Ferrarezzi & Freire (2001), in Campbell & Lamar (2004), Bothrops muriciencis is most similar in overall appearance to Bothrops pirajai, B. brazili, B. jararacussu, and B. sanctaecrucis, with B. pirajai suggested as the closest relative. Bothrops pirajai is poorly known, and specimens were unavailable, but it is very similar to some specimens of B. brazili and B. jararacussu (Campbell & Lamar, 2004). As the aforementioned species included in the study all are found in Bothrops, as described in this paper, we assign B. muriciencis and B. pirajai to the genus as well. BOTHROPOID PHYLOGENY AND CLASSIFICATION at Berkeley, San Diego Natural History Museum, Smithsonian Institution National Museum of Natural History, Texas Natural History Collection at the University of Texas, University of Kansas, University of Michigan Museum of Zoology, University of Texas at Arlington. R. Jadin is thanked for supplying morphological data on out-group taxa, as well as insight on data collection. Several researchers provided tissues under their care that were obtained during sponsored research, including J. Campbell (University of Texas at Arlington, DEB–9705277, DEB–0102383), L. Vitt (University of Oklahoma, obtained through NSF grant DEB-9200779 and DEB-9505518), M. Martins (Universidad de São Paulo), and R. Murphy (Royal Ontario Museum). The Louisiana State University frozen tissue collection also generously provided specimens. For help and time in the field we thank B. Bock, C. Brasileiro, H. Greene, N. Hülle, J. Junior, O. A. V. Marques, C. Monteiro, G. Nilson, C. C. Nogueira, V. Páez, M. Saldarriaga, M. Sasa, R. J. Sawaya, F. Spina, A. M. Tozetti, R. W. Van Devender, and K. Zamudio. We also thank the many people that, over the years, have contributed insight and suggestions that have added to this study, including J. Campbell, T. Castoe, J. Coleman, J. Daza, H. Ferrarezzi, H. Greene, M. Harvey, H. Kalkvik, T. LaDuc, W. Lamar, M. Martins, G. Metzger, J. Reece, E. Smith, R. Sawaya, S. Werman, and J. Wiens. Funding for this project was provided by a UCF start-up package, a UCF new faculty research award, and an NSF Research grant (DEB–0416000) to CLP. Sequencing through the Nevada Genomics Center was supported by an INBRE grant (2 P20 RR016463). Middle American jumping pitvipers (genus Atropoides) and phylogeography of the Atropoides nummifer complex. Herpetologica 59: 420–431. Castoe TA, Parkinson CL. 2006. Bayesian mixed models and the phylogeny of pitvipers (Viperidae: Serpentes). Molecular Phylogenetics and Evolution 39: 91–110. Castoe TA, Sasa M, Parkinson CL. 2005. Modeling nucleotide evolution at the mesoscale: the phylogeny of the Neotropical pitvipers of the Porthidium group (Viperidae: Crotalinae). 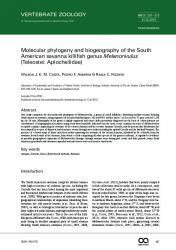 Molecular Phylogenetics and Evolution 37: 881–898. Chang V, Smith EN. 2001. FastMorphologyGFC. 1.0 edn. Available at http://www3.uta.edu/faculty/ensmith. Dowling HG. 1951. A proposed standard system of counting ventrals in snakes. 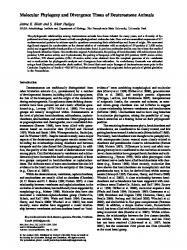 British Journal of Herpetology 1: 97–99. Dowling HG, Savage JM. 1960. A guide to the snake hemipenis: a survey of basic structure and systematic characteristics. Zoologica 45: 17–31. Felsenstein J. 1985. Confidence limits on phylogenies: an approach using the bootstrap. Evolution 39: 783–791. Ferrarezzi H, Freire EMX. 2001. New species of Bothrops Wagler, 1824, from the Atlantic forest of northeastern Brazil (Serpentes, Viperidae, Crotalinae). Boletim do Museu Nacional, Rio de Janeiro, New Ser 440: 1–10. Frost DR, Grant T, Faivovich J, Bain RH, Haas A, Haddad CFB, De Sa RO, Channing A, Wilkinson M, Donnellan SC, Raxworthy CJ, Campbell JA, Blotto BL, Moler P, Drewes RC, Nussbaum RA, Lynch JD, Green DM, Wheeler WC. 2006. The amphibian tree of life. New York: American Museum of Natural History. Garman S. 1881. New and little-known reptiles and fishes in the museum collections. Bulletin of the Museum of Comparative Zoology 8: 85–93. Grazziotin FG, Monzel M, Echeverrigaray S, Bonatto SL. 2006. Phylogeography of the Bothrops jararaca complex (Serpentes: Viperidae): past fragmentation and island colonization in the Brazilian Atlantic Forest. Molecular Ecology 2006: 1–14. Gutberlet RL Jr. 1998. The phylogenetic position of the Mexican black-tailed pitviper (Squamata: Viperidae: Crotalinae). Herpetologica 54: 184–206. Gutberlet RL Jr, Campbell JA. 2001. Generic recognition for a neglected lineage of South American pitvipers (Squamata: Viperidae: Crotalinae) with the description of a new species from the Colombian Chocó. American Museum Novitiates 1–15. Gutberlet RL Jr, Harvey MB. 2002. Phylogenetic relationships of New World pitvipers as inferred from anatomical evidence. In: Schuett GW, Höggren M, Douglas ME, Greene HW, eds. Biology of the Vipers. Eagle Mountain, UT: Eagle Mountain Publishing, 51–68. Gutberlet RL Jr, Harvey MB. 2004. The evolution of New World venomous snakes. In: Campbell JA, Lamar WW, eds. The venomous reptiles of the Western Hemisphere. Ithaca, NY: Comstock Publishing Associates, 634–682. Harvey MB, Aparicio JE, Gonzales LA. 2005. Revision of the venomous snakes of Bolivia. II: the pitvipers (Serpentes: Viperidae). Annals of Carnegie Museum 74: 1–37. phylogenetic correlates of feeding habits in Neotropical pitvipers of the genus Bothrops. In: Schuett GW, Höggren M, Douglas ME, Greene HW, eds. Biology of the vipers. Eagle Mountain, UT: Eagle Mountain Publishing, 307– 328. Maslin PT. 1942. Evidence for the separation of the crotalid genera Trimeresurus and Bothrops. Copeia 1942: 18–24. Murphy RW, Fu J, Lathrop A, Feltham JV, Kovac V. 2002. Phylogeny of the rattlesnakes (Crotalus and Sistrurus) inferred from sequences of five mitochondrial DNA genes. In: Schuett GW, Höggren M, Douglas ME, Greene HW, eds. Biology of the vipers. Eagle Mountain, UT: Eagle Mountain Publishing, 69–92. Nylander JAA. 2004. MrModeltest. 2.2 edn. Program distributed by the author. Uppsala, Sweden: Evolutionary Biology Centre, Uppsala University. Parkinson CL. 1999. Molecular systematics and biogeographical history of pitvipers as determined by mitochondrial ribosomal DNA sequences. Copeia 1999: 576–586. Parkinson CL, Campbell JA, Chippindale PT. 2002. Multigene phylogenetic analysis of pitvipers, with comments on their biogeography. In: Schuett GW, Höggren M, Douglas ME, Greene HW, eds. Biology of the vipers. Eagle Mountain, UT: Eagle Mountain Publishing, 93–110. Parkinson CL, Zamudio KR, Greene HW. 2000. Phylogeography of the pitviper clade Agkistrodon: historical ecology, species status, and conservation of cantils. Molecular Ecology 9: 411–420. Pook CE, McEwing R. 2005. Mitochondrial DNA sequences from dried snake venom: a DNA barcoding approach to the identification of venom samples. Toxicon 46: 711–715. Puorto G, Salomão MDG, Theakston RDG, Thorpe RS, Warrell DA, Wüster W. 2001. Combining mitochondrial DNA sequences and morphological data to infer species boundaries: phylogeography and lanceheaded pitvipers in the Brazilian Atlantic forest, and the status of Bothrops pradoi (Squamata: Serpentes: Viperidae). Journal of Evolutionary Biology 14: 527–538. de Queiroz K, Gauthier J. 1990. Phylogeny as a central principle in taxonomy: phylogenetic definitions of taxon names. Systematic Zoology 39: 307–322. de Querioz K, Gauthier J. 1992. Phylogenetic taxonomy. Annual Review of Ecology and Systematics 23: 449–480. de Querioz K, Gauthier J. 1994. Toward a phylogenetic system of biological nomenclature. Trends in Ecology and Evolution 9: 27–31. Rambaut A, Drummond AJ. 2007. Tracer v1.4. Available at http://beast.bio.ed.ac.uk/tracer. Ronquist F, Huelsenbeck JP. 2003. MrBayes 3: Bayesian phylogenetic inference under mixed models. Bioinformatics 19: 1572–1574. Russell FE. 1980. Snake Venom Poisoning. Philadelphia, PA: Lippincott. Salomão MdG, Wüster W, Thorpe RS, BBBSP. 1999. MtDNA phylogeny of Neotropical pitvipers of the genus Bothrops (Squamata: Serpentes: Viperidae). Kaupia 8: 127– 134. Salomão MdG, Wüster W, Thorpe RS, Touzet J-M, BBSP. 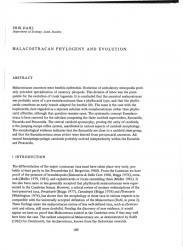 BOTHROPOID PHYLOGENY AND CLASSIFICATION 1997. DNA evolution of South American pitvipers of the genus Bothrops (Reptilia: Serpentes: Viperidae). In: Thorpe RS, Wüster W, Malhotra A, eds. Venomous snakes: ecology, evolution, and snakebite. Oxford: Clarendon Press, 276. Silva VXd. 2000. Revisão sistemática do complexo Bothrops neuwiedi (Serpentes, Viperidae, Crotalinae), 2 vols. Unpublished Ph.D. dissertation, Universidade de São Paulo. Silva VXd. 2004. The Bothrops neuwiedi complex. In: Campbell J, Lamar WW, eds. The venomous reptiles of the western hemisphere. Ithaca, NY: Cornell University Press, 410–422. Smith EN, Gutberlet RL Jr. 2001. Generalized frequency coding: a method of preparing polymorphic multistate characters for phylogenetic analysis. Systematic Biology 50: 156–169. Swofford DL. 2002. PAUP*: phylogenetic analysis using parsimony (*and other methods). Version 4.0 ed. Sunderland, MA: Sinauer Associates. Tavaré S. 1986. Some probabilistic and statistical problems on the analysis of DNA sequences. In: Miura RM, ed. Some mathematical questions in biology–DNA sequence analysis. Providence, RI: American Math Society, 57–86. Thiele K. 1993. The holy grail of the perfect character: the cladistic treatment of morphometric data. Cladistics 9: 275– 304. Thompson JD, Higgins DG, Gibson TJ. 1994. CLUSTAL W: improving the sensitivity of progressive multiple sequence alignment through sequence weighting, position specific gap penalties and weight matrix choice. Nucleic Acids Research 22: 4673–4680. Vidal N, Lecointre G. 1998. Weighting and congruence: a case study based on three mitochondrial genes in pitvipers. Molecular Phylogenetics and Evolution 9: 366–374. Vidal N, Lecointre G, Vié JC, Gasc JP. 1997. Molecular systematics of pitvipers: paraphyly of the Bothrops complex. Evolution 320: 95–101. Warrell DA. 2004. Snakebites in Central and South America: epidemiology, clinical features, and clinical management. In: Campbell JA, Lamar WW, eds. The venomous reptiles of the Western Hemisphere. Ithaca, NY: Cornell University Press, 709–761. Werman SD. 1992. Phylogenetic relationships of Central and South American pitvipers of the genus Bothrops (sensu lato): cladistic analyses of biochemical and anatomical characters. In: Campbell JA, Brodie ED Jr, eds. Biology of the pitvipers. Tyler, TX: Selva, 21–40. Wiens JJ. 1995. Polymorphic characters in phylogenetic systematics. Systematic Biology 47: 381–397. Wiens JJ. 2003. Incomplete taxa, incomplete characters, and phylogenetic accuracy: is there a missing data problem? Journal of Vertebrate Paleontology 23: 297–310. Wiens JJ. 2006. Missing data and the design of phylogenetic analyses. Journal of Biomedical Informatics 39: 34–42. Wüster W. 1996. Systematics, venom variation and toxinology: bridging gaps between evolutionary biology and biomedical science. Toxicon 34: 733. Wüster W, Duarte MR, Salomão MdG. 2005. Morphological correlates of incipient arboreality and ornithophagy in island pitvipers, and the phylogenetic position of Bothrops insularis. 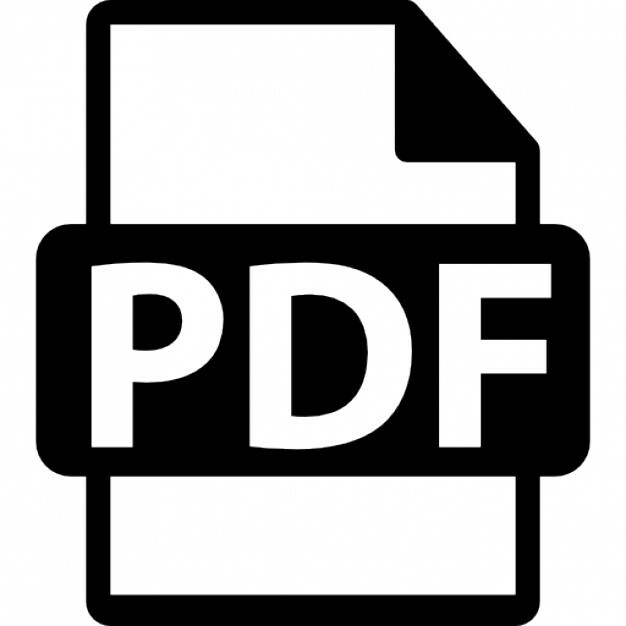 Journal of Zoology 266: 1–10. Wüster W, Golay P, Warrell DA. 1997. Synopisis of recent developments in venomous snake systematics. Toxicon 35: 319–340. Wüster W, Golay P, Warrell DA. 1998. Synopsis of recent developments in venomous snake systematics, No. 2. Toxicon 36: 299–307. Wüster W, Golay P, Warrell DA. 1999a. Synopsis of recent developments in venomous snake systematics, No. 3. Toxicon 37: 1123–1129. Wüster W, Harvey AL. 1996. Reviews of venomous snake systematics in Toxicon. Toxicon 34: 397–398. Wüster W, Salomão MdG, Duckett GJ, Thorpe RS, BBBSP. 1999b. Mitochondrial DNA phylogeny of the Bothrops atrox species complex (Squamata: Serpentes: Viperidae). Kaupia 8: 135–144. Wüster W, Salomão MdG, Quijada-Mascareñas JA, Thorpe RS, BBBSP. 2002. Origins and evolution of the South American pitviper fauna: evidence from mitochondrial DNA sequence analysis. In: Schuett GW, Höggren M, Douglas ME, Greene HW, eds. Biology of the vipers. Eagle Mountain, UT: Eagle Mountain Publishing, 111– 128. Wüster W, Thorpe RS, Puorto G, BBBSP. 1996. Systematics of the Bothrops atrox complex (Reptilia: Serpentes: Viperidae) in Brazil: a multivariate analysis. Herpetologica 52: 263–271. Zamudio KR, Greene HW. 1997. Phylogeography of the bushmaster (Lachesis muta: Viperidae): implications for Neotropical biogeography, systematics, and conservation. 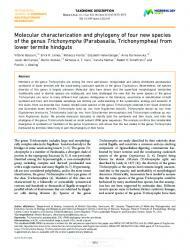 Biological Journal of the Linnean Society 62: 421–442. Distribution and habitat data from Campbell & Lamar (2004). SUPPORTING INFORMATION Additional Supporting Information may be found in the online version of this article: Figure S1. Majority-rule consensus cladogram of six most parsimonious trees from an analysis excluding taxa with morphological data only (analysis 10). Figure S2. Phylogram of single most parsimonious tree from an analysis excluding taxa with morphological data only (analysis 9). Figure S3. Majority-rule consensus cladogram of ten most parsimonious trees from an analysis including taxa with morphological data only (analysis 7). Figure S4. Phylogram of a single most parsimonious tree from an analysis including taxa with morphological data only (analysis 6). Figure S5. Bayesian Markov Chain Monte Carlo (MCMC) 50% majority-rule consensus phylogram derived from an analysis of 2343 bp of mitochondrial DNA (analysis 5). Figure S6. Majority-rule consensus cladogram of 11 most parsimonious trees derived from an analysis of 2343 bp of mitochondrial DNA (analysis 4). Figure S7. Bayesian Markov Chain Monte Carlo (MCMC) 50% majority-rule consensus phylogram derived from an analysis of 85 gap-weighted or majority-coded morphological characters (analysis 3). Figure S8. Parsimony 50% majority-rule consensus cladogram of the 107 shortest trees derived from analysis of 85 gap-weighted or majority-coded morphological characters. Figure S9. Phylogram of the single most parsimonious tree derived from an analysis of 85 generalized frequency coded morphological characters. Table S1. Species used, voucher data, collecting locality, and GenBank accession numbers for each taxon. Table S2. Cytochrome b distances within and among selected genera recovered with the Kimura two-parameter model with G-distributed rate variation. Appendix S1. Specimens examined for morphological data. Appendix S2. List of characters used in this study. Please note: Wiley-Blackwell are not responsible for the content or functionality of any supporting materials supplied by the authors. Any queries (other than missing material) should be directed to the corresponding author for the article.